Trees are one of our most valued resources. Trees provide shelter from sun and wind as well as adding oxygen to air we breathe while taking up carbon dioxide. A table is a surface suspended above the ground by definition. So how would Nature hold a table? I try to build tables that imitate Nature’s designs, asymmetrical and unique as tree branches, because I see Nature around us is God’s expression to us. Most of my pieces use laminations. 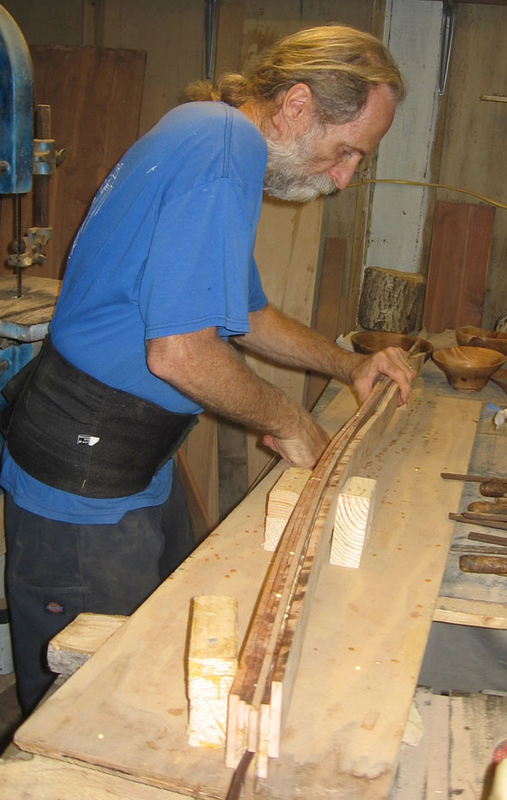 My table legs use 1/8 thin strips of wood, which are glued together so they can be shaped and bent into Nature’s designs. Then they are sculpted into these shapely table legs or a lamp . Louisiana Crafts Guild, which teaches and promotes creative expression and artistic excellence in Fine Craft. I also belong to Green Pro Directory which seeks to connect with the best local green pros who use environmentally friendly building.